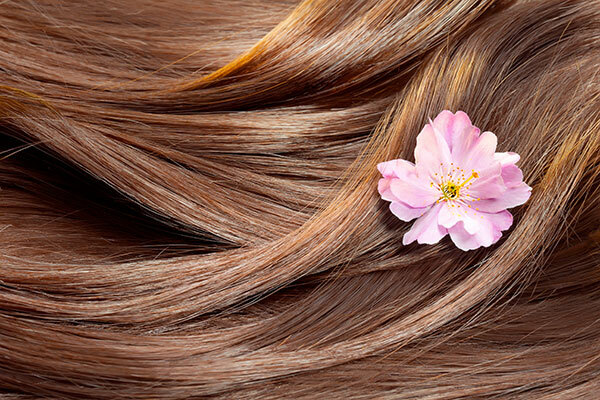 As spring is approaching, it is a great time to start considering ways to freshen up your hair. Along with spring cleaning, you might be itching to give your hair some good old fashion TLC too. Heading to the salon for a fresh spring trim is a great way to celebrate the warmer weather and fresh air. After a long, cold winter, hair undergoes a lot of stress. Dryness is often the biggest cause of damage, which can lead to split ends and scalp irritation. To hit restart on those dry ends, a trim every so often can be a huge help. The frequency of how often a hair trim is necessary for you should be based on the type, texture and style of your hair. Your hair stylist can recommend what’s best for you. Treat yourself to a relaxing day at the spa and enjoy head to toe treatments. This is a great way to de-stress and start fresh, after all, stress is one of the factors that can lead to hair loss in women. When the body is experiencing stress, the immune system can be compromised as well making us more susceptible to sickness and inflammation. A fun way to change up your style game is to add accessories to your hair. Mother nature is accessorizing with flowers, so why not you too? Head wraps are trending, and you can find gorgeous, colorful styles to express your personality. Last but definitely not least, don’t be afraid to try out new hair products that promote healthy, strong hair and hair growth. A great place to start is with the Keranique Deep Hydration Scalp Stimulating Shampoo and Deep Hydration Volumizing Conditioner. The shampoo is designed to gently deep clean and stimulate the scalp to nourish and rejuvenate the hair follicles while the conditioner is designed to help thicken and volumize thin, fine hair. This entry was posted in Hair Care, Hair Styles, Hair Tips, Hair Trends and tagged hair accessories, hair care, hair care products, hair tips. All I want is your regrowth treatment for women only, that is the one that I love to have. A contact request has been sent to our Customer Relations team to assist you with placing an order. Hi Virginia, we have sent a contact request to our Customer Relations team to better assist you. Keep in mind, this is not uncommon, hair shedding at the beginning of the treatment may happen for a small percentage of users, but it’s temporary (usually lasting from 2 – 6 weeks at most), and this can actually indicate that Keranique is working. So it’s really a good sign. 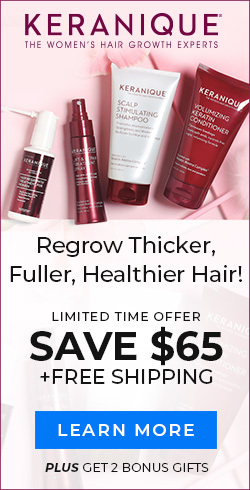 Hair grows slowly – on average hair grows about ½ inch per month. It has to emerge from the follicle before it grows from the scalp, so there will be a short period of 3 – 4 months before you will begin to see a visible difference. As the Keranique Hair Regrowth Treatment with 2% Minoxidil begins to take effect and regrow hair, it is important to realize that it can also help stop further hair loss by revitalizing and stimulating hair follicles. Our Customer Service department is available 24 hours a day to support you through your regrowth journey. Please do not hesitate to contact them at (888)237-4131.